Here is a brief excerpt from an article written by Jacques Bughin, Michael Chui, and James Manyika for the McKinsey Quarterly, published by McKinsey & Company. To read the complete article, check out other resources, learn more about the firm, obtain subscription information, and register to receive email alerts, please click here. The rate of adoption is accelerating. Here are [two of] six things you need to know. As the Internet of Things (IoT) has gained popular attention in the five years since we first published on the topic,1it has also beguiled executives. When physical assets equipped with sensors give an information system the ability to capture, communicate, and process data—and even, in a sense, to collaborate—they create game-changing opportunities: production efficiency, distribution, and innovation all stand to benefit immensely. 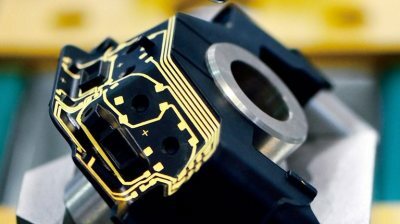 o Sensor data that are used to predict when equipment is wearing down or needs repair can reduce maintenance costs by as much as 40 percent and cut unplanned downtime in half. o Inventory management could change radically, as well. At auto-parts supplier Wurth USA, cameras measure the number of components in iBins along production lines, and an inventory-management system automatically places supply orders to refill the containers. o In mining, self-driving vehicles promise to raise productivity by 25 percent and output by 5 percent or more. They could also cut health and safety costs as much as 20 percent by reducing the number of workplace accidents. IoT systems can also take the guesswork out of product development by gathering data about how products (including capital goods) function, as well as how they are actually used. Using data from equipment rather than information from customer focus groups or surveys, manufacturers will be able to modify designs so that new models perform better and to learn what features and functionality aren’t used and should therefore be eliminated or redesigned. By analyzing usage data, for example, a carmaker found that customers were not using the seat heater as frequently as would be expected from weather data. That information prompted a redesign to allow easier access: the carmaker updated the software for the dashboard touchscreen to include the seat-heater command. This illustrates another capability of connected devices: with the ability to download new features, these products can actually become more robust and valuable while in service, rather than depreciate in value. Despite this value, most data generated by existing IoT sensors are ignored. In the oil-drilling industry, an early adopter, we found that only 1 percent of the data from the 30,000 sensors on a typical oil rig are used, and even this small fraction of data is not used for optimization, prediction, and data-driven decision making, which can drive large amounts of incremental value. IoT can also spur new business models that would shift competitive dynamics within industries. One example is using IoT data and connectivity to transform the sale of industrial machinery and other goods into a service. The pioneers of this trend were jet-engine manufacturers that shifted their business model to selling thrust and ancillary services rather than physical equipment. Now these models are proliferating across industries and settings. Transportation as a service, enabled by apps and geolocation devices, is encroaching on vehicle sales and traditional distribution alike. Manufacturers of products such as laser printers with IoT capabilities are morphing into robust service businesses. IoT makes these business models possible in a number of ways. First, the ability to track when and how physical assets are actually used allows providers to price and charge for use. Second, the combined data from all these connected assets help a supplier to operate equipment much more efficiently than its customers would, since its customers would only have a limited view of their own equipment if they purchased and ran it themselves. Furthermore, analysis of IoT data can enable condition-based, predictive maintenance, which minimizes unplanned downtime. This business-model shift will require product companies to develop and flex their service muscles. Product development, for instance, becomes service development, where value is cocreated with customers. It won’t be enough to focus on the product features customers will pay the most for. Developers will need to understand the business outcomes their customers seek and learn how to shape offerings to facilitate those outcomes most effectively. Service providers will also have to take on capacity-planning functions—including planning for peak usage and utilizing IoT data to forecast demand. Jacques Bughin is a director in McKinsey’s Brussels office; Michael Chui is a partner at the McKinsey Global Institute, where James Manyika is a director. The authors wish to thank McKinsey’s Dan Aharon and Mark Patel for their contributions to this article.